Students gathered around the Miron Student Center (MSC) Patio to partake in this year's Earth Day Fair hosted by the Earth Science Club. The fair took place Tuesday, April 16 and is part of the Earth Science Club's many upcoming events to celebrate this coming Earth Day April 22. Jason Pleitez knows the importance of getting involved early. 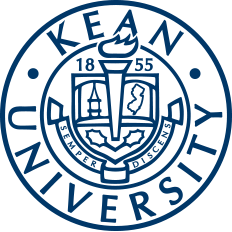 In his first year at Kean, Pleitez has already accumulated over 140 service hours and been involved in numerous clubs and activities and exhibited qualities of a leader. The School of Communication, Media and Journalism (CMJ) hosted three public relations professionals for their fourth annual public relations panel discussion. This year's theme was entertainment, travel and tourism. 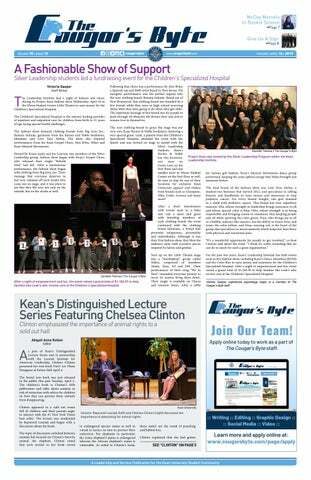 As part of Kean's Distinguished Lecture Series and in partnership with the Lesniak Institute for American Leadership, Chelsea Clinton presented her new book Don't Let Them Disappear at Enlow Hall April 4. This year's World Water Day 2019 theme was "Leaving No One Behind" and took place Friday, March 22. To bring awareness to the cause, the Center for Leadership and Service (CLS) held tabling events.